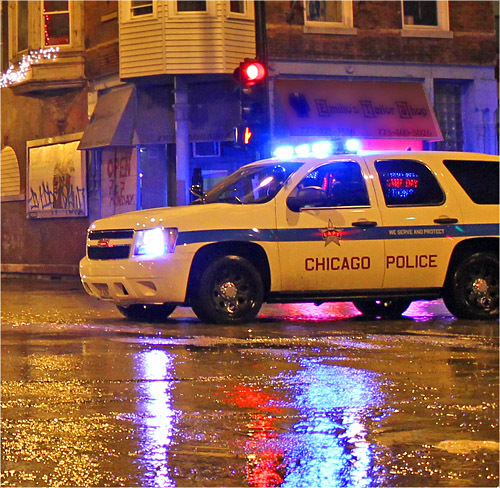 CHICAGO (CN) – U.S. Attorney General Jeff Sessions asked a federal judge Friday not to get involved with police reform in Chicago and reject a consent decree that the city and Illinois have been working on together for almost a year. Sessions filed a statement of interest in a lawsuit Illinois Attorney General Lisa Madigan brought against Chicago last year to get court assistance in forming a plan and binding the Chicago Police Department to it. Since then, both state and city governments have cooperated in drafting the decree, which would impose sweeping changes on a police department under fire for brutality, discrimination and lack of accountability. Sessions and President Donald Trump, no strangers to disagreeing with the outgoing mayor, see things differently. “This sweeping proposed consent decree is not the right vehicle for the city of Chicago right now, as the city’s law enforcement professionals seek to combat a historic violent crime wave,” Sessions argued in his statement of interest. Just days ago the president advocated for bringing back stop-and-frisk polices to the streets of the Windy City. Sessions has backed him up, blaming Chicago’s 2015 settlement with the American Civil Liberties Union to stop just those types of searches for the spike in murders the city saw in 2016. “Murders of Chicagoans will not be prevented by subjecting the CPD and its officers to multiple, costly monitors through various settlement agreements and consent decrees. Nor will actions that reduce police productivity or restrain their use of lawful procedures advance that goal,” according to the statement of interest. The draft consent decree covers everything from improving officer training to reporting each time an officer points a firearm at someone. Written comments from community groups and other organizations were entered this week and public comments will be heard in court on Oct. 24 and 25. Those comments will be used to shape the final decree, which could be signed by Mayor Emanuel in his final days in office if approved by the court.